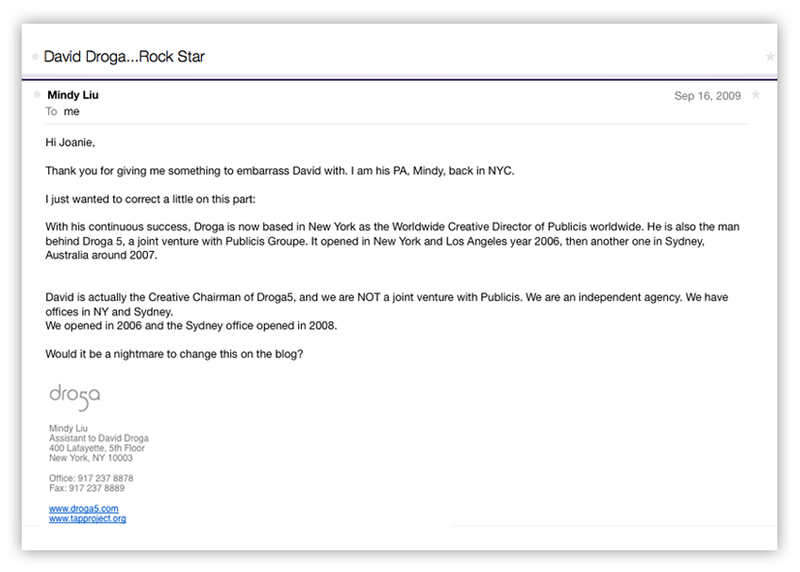 "David Droga, the closest thing the advertising world has to a rock star!" At age 26, he was offered the job of Regional Executive Creative Director of Saatchi Asia, based in Singapore. Not the typical creative person, Droga put the region on the map by winning more awards than other offices in the network, including London. So, after invading Asia, Droga once again given a fresh challenge. He became the Executive Creative Director of Saatchi & Saatchi in London, where the agency was shaking after they lost their major accounts and staff. It was a difficult start for him, the British ad community asking 'Dave who?' and wondering what on earth this young Australian had to offer. He proved so much than what was asked from him. With his continuous success, Droga is now based in New York as the founder and Creative Chairman of Droga 5. An indpendent and fastest growing ad agency in America. It opened in New York and Los Angeles year 2006, then another one in Sydney, Australia around 2008. In Australia, Creative Magazine has named him as "AUSTRALIAN CREATIVE PERSON OF THE DECADE." Aside from having a wife and three children in Manhattan, building a new venture, David's favorite topics are ART, Environment and anything Australian. 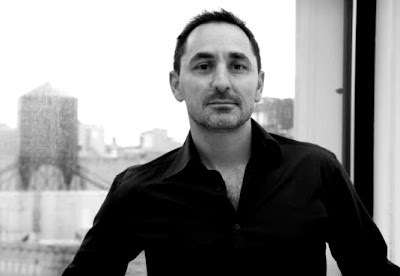 One of my biggest life dreams is to work for David Droga Sydney. It may be very difficult as passing the thread in to the needle hole --- but when you dream, dream bigger since it's FREE! They may not need me as additional in the creative but I will be more than willing to take an internship as tea lady or food lady and share them my exciting recipes on food and maybe they will be interested to have my creative recipes in mind as well. Is still on high with DROGA!